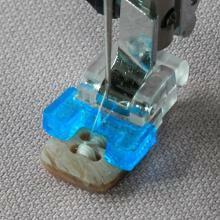 The Brother/Baby Lock Self-Sizing Buttonhole Foot lets you use your button to perfectly set the buttonhole size. 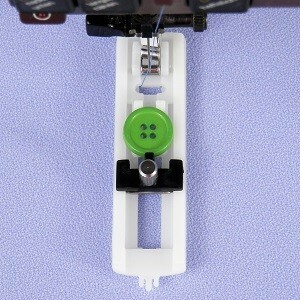 After placing the button on the foot, tighten the stop against the button and remove the button. The Brother/Baby Lock Self-Sizing Buttonhole Foot will now slide the perfect distance to the top and bottom as you sew your flawless buttonhole. Includes instructions. 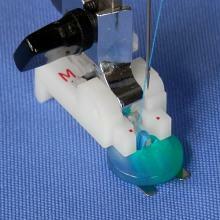 Works with any model that has a multiple step buttonhole mechanism.